How Progressive Loading Solved a critical Implant Case. Every day we do a lot of things based on our intuition. We make decisions based on our own or others experience. We do not need science to help us in our daily life, and we don't have a clear indicator that shows us if our decision is the best. Decisions based on practical experience is our way of life. But when it comes to our profession as dentists, we do, or at least we should, evidence-based dentistry for...almost every treatment we perform. 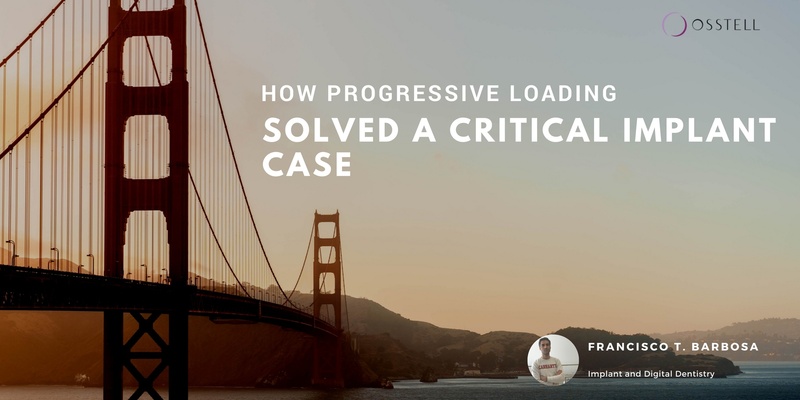 As the title of this article says, I´m going to present a case about "progressive loading." Yes, I know, progressive loading is supported by few clinical studies (Rotter 1996, Appleton 2005, Ghoveizi 2013), but -and here comes the interesting part- the rationale behind this concept makes sense from a clinical and biological point of view.